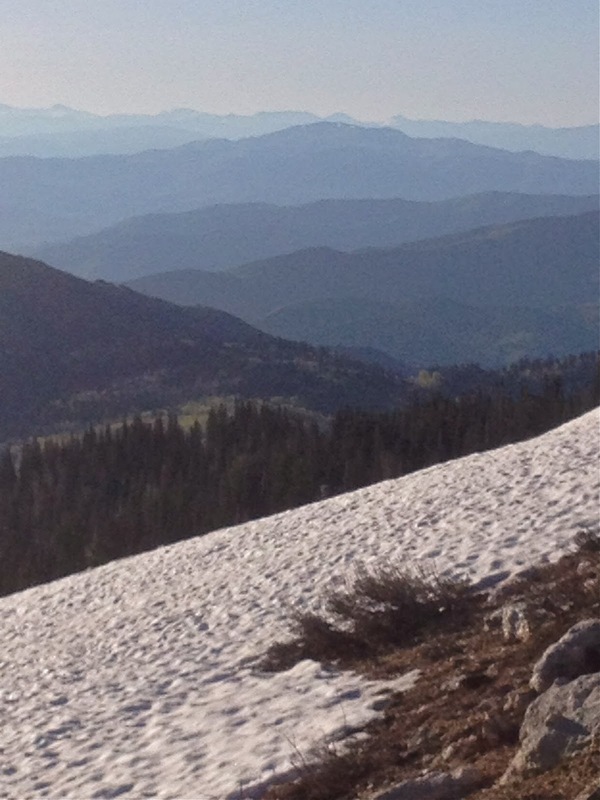 Summer is yet a few weeks out on the calendar, but has arrived in weather to the Northern Wasatch Range. The gate for one of my favorite spring skiing zones, Farmington Canyon, took forever to get open this year and as a result I missed most of the good skiing conditions up there this spring. I was irritated at the delay from the U.S. Forrest Service to get the gate open, but once it finally did open up I decided that despite my irritation I might as well get up there to check out a few more spots I have wanted to ski. By the time I could get up there the snowpack had receded to full-on summer snowpack, which is good for avalanche concerns, but not all that great of skiing conditions. ^With really hot day time temperatures the early start is a must. I wake up about 4:00am to get a start on the day this time of year. This particular day I was stoked to have below freezing temperatures above 8,000 feet above sea level overnight. To ski corn snow it really needs to get frozen overnight and then heat up with the first light of the day and daytime temperatures. 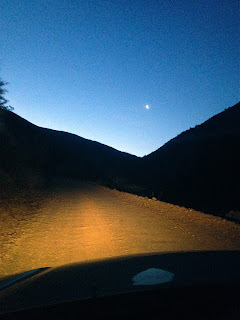 Thankfully I had just such conditions as I drove up the steep canyon road in the darkness. ^The gravel road up the canyon is legitimate. Steep canyon walls on both sides make for a long way down off the side of the road. Just beyond the right hand shoulder in the picture above is about 300 feet of cliff lurking in the darkness. Coffee, stoke, and shear terror definitely serve to keep me wide awake on the morning commute. ^I parked just short of the snow line with a beautiful morning sun peeking up over the ridge line to the east. 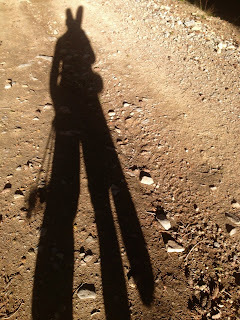 ^Hiking shoes and a heavy pack from the car for the roughly one-hour hike to Bountiful Peak displayed in the picture of my shadow cast onto the lonely gravel road. Despite the canyon open for vehicle traffic there were very few people taking advantage of it. ^Beaver ponds on the walk up. ^Antelope Island is seeing its first sunshine of the day in the background in the picture above. Some beautiful glades in the foreground are ideal for mellow meadow skipping in a deeper snowpack. Most years this glade would still be skiable by the time the gate opened up, but this year not so much with such a late opening. ^On the backside of Bountiful Peak and I was still in hiking shoes on dry ground. The road curls around onto a west face that cooks all afternoon so I welcomed the easy walking around the back of the peak. In the picture above, Francis Peak looms in first light in the distance as I hike in the shadow of Bountiful Peak. ^Wrapping back around the peak again to this view just as the sunrise began heating up the east face of Bountiful Peak. The frozen snowpack did not last long as the corn snow cycle started up on the eastern slopes pretty quickly. By 7:00am the snow was ripe for corn. I thought I would have to wait a little for it, but I underestimated just how hot the sun was cooking the slopes. ^Pressed for time to a certain degree with a meeting in Salt Lake City with Josh Madsen for Telemark Skier Magazine and I decided that one lap was enough. I was back to my car and down the canyon by 9:30am. Some quick errands in Farmington for some dog food and gasoline and I was on my way down to the big city. ^Down in Salt Lake City for my weekly meetings and I was fortunate to see these two fellas who work in the Freeheel Life Shop, which is headquarters for Telemark Skier Magazine as well. So when I found some more time to get back up to Farmington Canyon I reached out to the shop boys to see if any of them would like to join me. Taylor Johnson, left, and Alex LeBlanc, right, obliged and met up with me bright and early for some dirty summer snow turns. 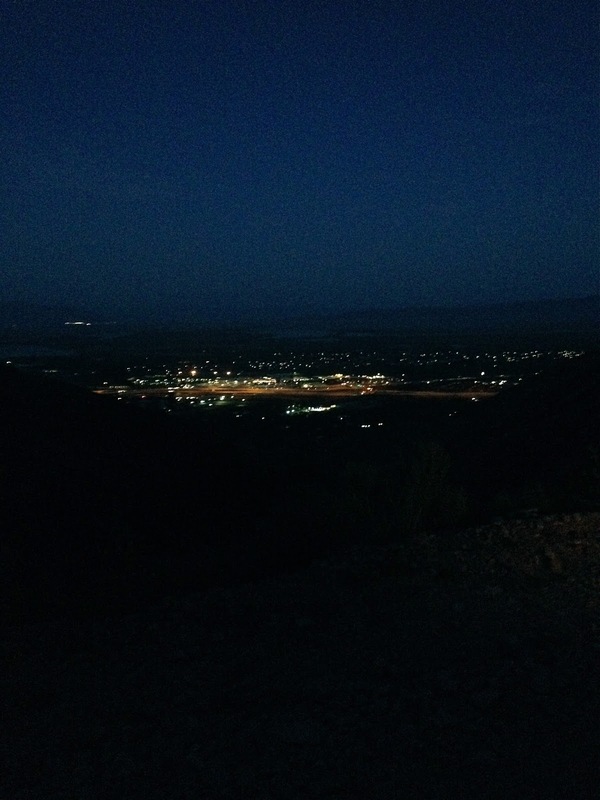 Alex lives right down the road and grew up in Farmington Canyon, but Taylor had never been up there before. ^The night before this run at Bountiful Peak the temperatures did not get low enough to freeze over night much, if at all. I was a bit concerned if it would be an issue for us, but a cool morning with some moderate clouds to the east and a slight breeze up high served to keep the snowpack from heating up too fast. Despite the warm temperatures overnight the snowpack managed to firm up somewhat so that it actually skied pretty well. Typically we would have had to wait on corn snow a little longer with some clouds and wind, but again due to the over night temps the snow was ready to be skied come first light. 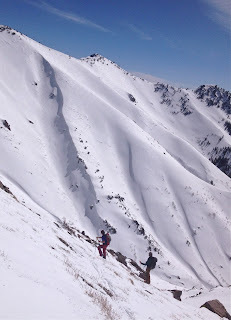 We put in the tracks displayed in the picture above and then rallied around for another lap further down ridge. On the second lap we could feel the heat starting to catch up with our morning so we skied one more and called it a day. ^After listening to all my grandiose freeheel stories and carrying on the boys were still stoked on the day. I am a quiet guy most of the time, but when talking about skiing with a captive audience I can get pretty long winded. These guys started probing me on the old days and the industry and next thing I know I am chattering away like a twelve year old girl in show and tell. They obliged my ramblings and tendencies to start preaching and teaching when I am in the backcountry with younger dudes I don't tour with often. Who knows, maybe they learned something throughout. I hope so. ^Alex at the end of the snow line. 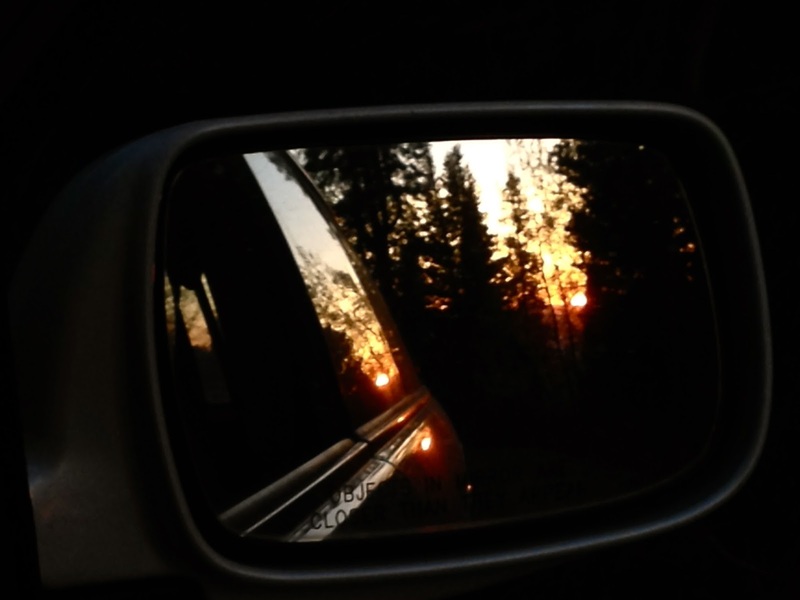 ^By the time we hiked to the car the heat was on. The water was flowing and the mud was getting thick. All in all I would call it a stellar day. The skiing was less then optimal, but our spirits were high and I had a blast getting out with the fellas from the Freeheel Life Shop. I always get a kick out of hanging out with these dudes, and we actually don't get to ski together all that often. However, now that these guys are planning on spending more and more time in the backcountry I hope we can get together for more tours in the near future before the snow melts out of the highest terrain. I like to think I have a few things to show them, and really I just like these guys' style. Good dudes to spend a morning with getting the boots muddy and skiing some dirty snow.